About us, clan roster, and TeamSpeak Info. Fun competitive and noncompetitive events. Public discussion. 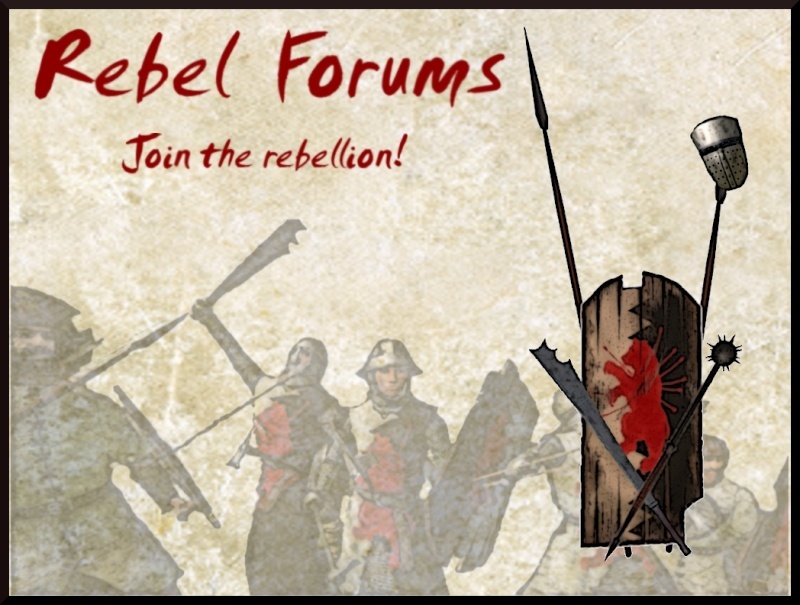 Chill, relax, and have a beer and chit chat with other Rebels and pubbers about warband or off-topic stuff. Discussion of mods and other PC games.